ISCC-NBS-System is a color system that has given colors more efficient names. 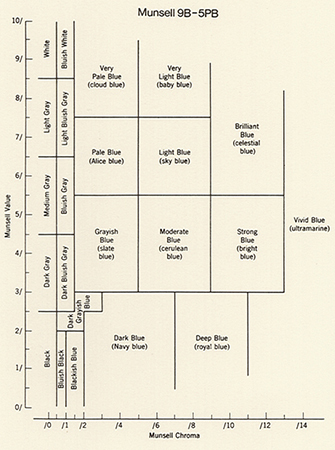 Inter-Society Color Council (ISCC) and National Bureau of Standards (NBS), an American government agency, first proposed the color system in 1932. Its initial purpose was to name the individual blocks of the Munsell Color System, which classifies colors by hue, value and chroma. Moreover, just like how Munsell Color System (on which it is based) works, the colors of ISCC-NBS-System are determined under the condition of average daylight and normal viewing. However, instead of naming the colors by symbols, ISCC-NBS-System identifies the colors with the general and understandable terms so that everyone can use it without difficulties and confusion. ISCC-NBS-System opens up a simpler way to name colors that does not confuse people with symbols and numbers. Actually, it is the most familiar way people name the colors and it is how we were taught to describe the colors. 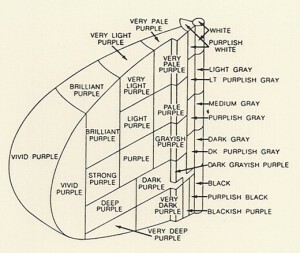 People simply name the colors by the basic colors that they are already familiar with and if more accuracy needed, they add adjectives in front to describe the darkness, brightness and etc. 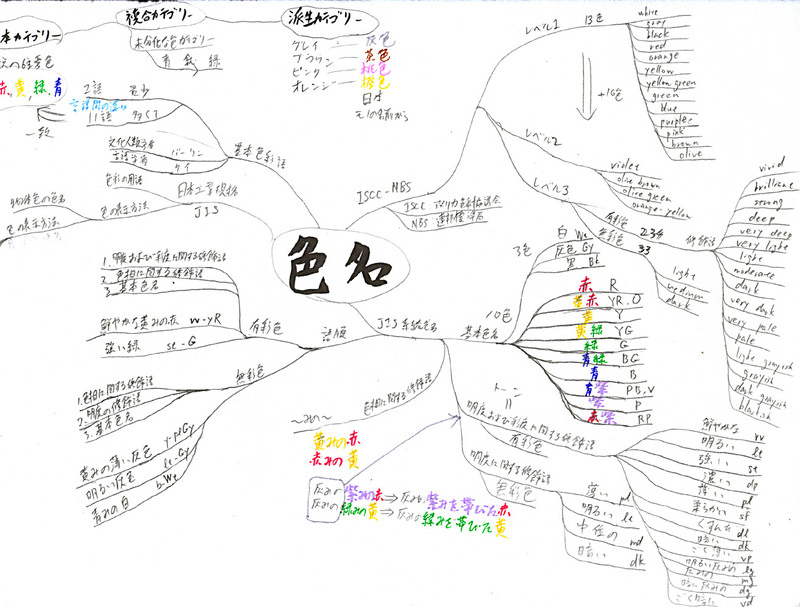 The system was close to what everyone has accustomed to name colors, except it organizes the language. ISCC-NBS-System’s basic hues are red, orange, yellow, green, blue, violet, purple, pink, brown and olive. These colors have intermediate categories so that the names indicate the combination in colors, for instance, reddish orange and yellowish green. Finally, these categories are subdivided into 267 categories. Appropriate modifiers are added before the hue names: vivid, brilliant, strong, deep, light, dark and pale, although not all hue names have modifiers. As a result, the color should be called something like dark reddish gray. 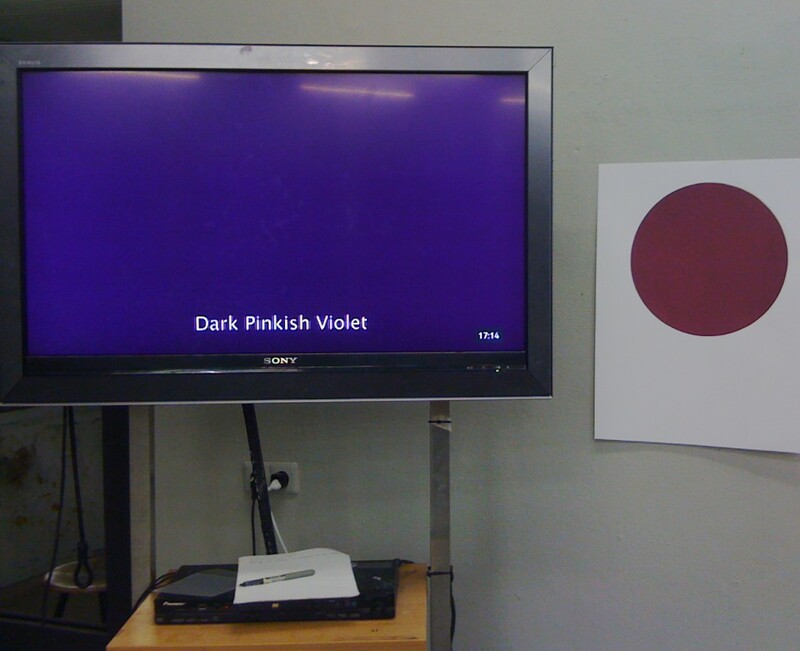 According to ISCC-NBS-System, the name of the color is decided upon the viewer’s choice. It will be orange if the one sees it as orange even though it is red to the others. The names reflect how the viewers see the colors. The colors may be called differently depends on the viewer’s physical conditions, their educational or cultural backgrounds and any other facts that can limit their judgment. 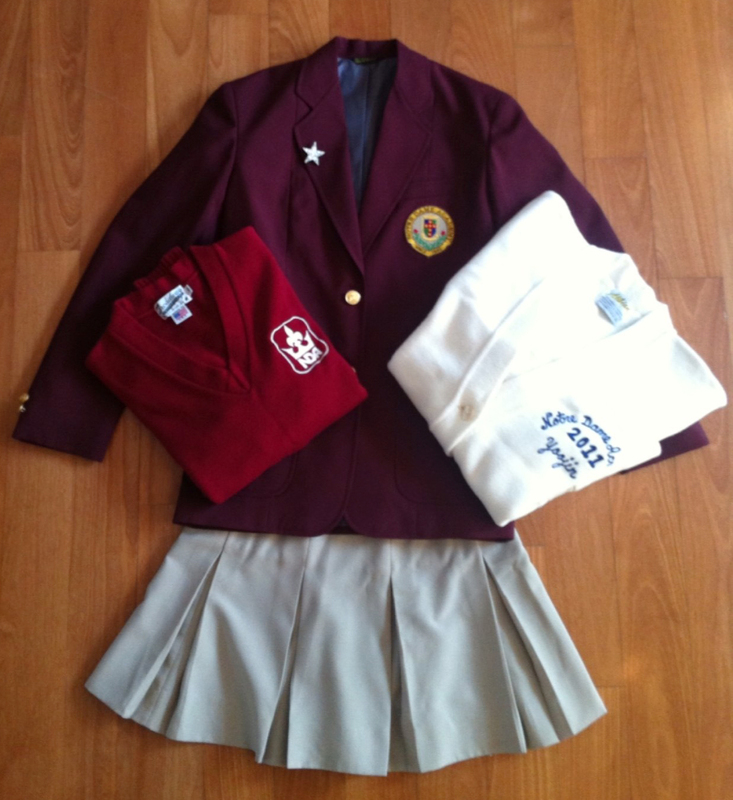 For instance, when I went to buy my school uniform in America, I first learned that khaki was not the color that I used to think of, which was close to dark green. My khaki uniform was light brown instead, what I used to call beige. South Korea and the US have given different names to the one color. The name of khaki was no longer important, what mattered was that I could describe the color. The given names under ISCC-NBS-System’s rules show the one’s characteristics. The decision on naming the color is made personally and objectively so it naturally shows one’s personality and background. I have a problem differentiating violet, purple and pink. They become even more uncertain when the adjectives are added. When the colors get darker or brighter, they lose their vividness and it is hard to decide to call them with specific names. 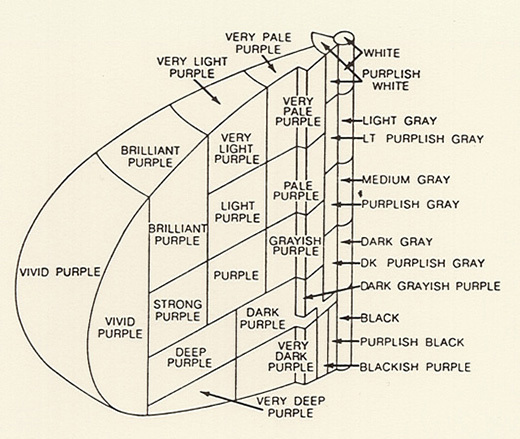 To me, violet is close to dark pink and dark violet is hard to distinguish from dark purple. The short movie that I made shows the color that confuses me the most, which is the mixture of violet, purple and pink, with different color names based on ISCC-NBS-System rules. It is 54 seconds long and shows 18 different names, one by one, every 3 seconds followed by the blinks. It is one loop so the names continuously change. The names describe one particular color, which is the color of the background. The viewers can come up with different colors for those names if the color is not shown because it was my personal decision to choose that color for those names. On the other hand, the color tricks the eyes as if they are different colors because of the blinks, but in fact, the only change in the movie is the text. The text contains all possible combinations among these three colors. As a last step, the class, as a group, experienced the silk screen. I tried to print the color in the movie without looking at the color I already chose in the movie. However, the silk screened color turned out to be completely different than the one from the movie. It was much brighter and more vivid than the color on the screen. It was interesting to experience impossibility of duplicating the color and possibility of creating limitless colors with one name because it can be conceived differently depending on who names it.